1881-O (New Orleans Mint) Morgan silver dollar in Brilliant Uncirculated condition. 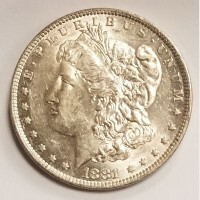 Coin is made of 90% silver and 10% copper. 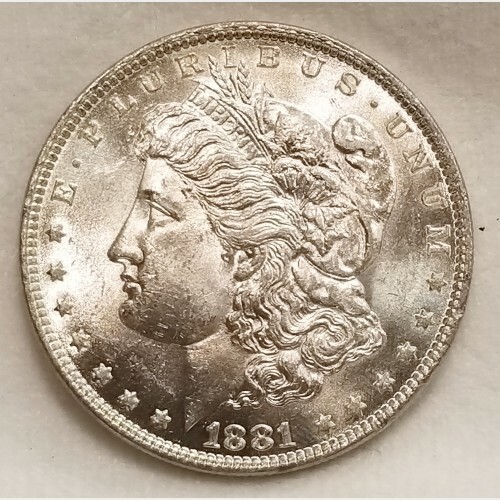 This coin has great luster and details. 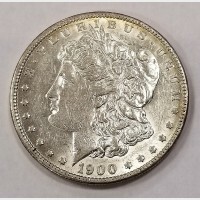 This is a raw coin and has not been graded by a 3rd party company. 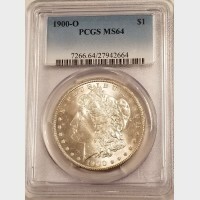 1900-O (New Orleans Mint) "O over CC" Morgan silver dollar in NET Almost Uncirculated 50 (NET AU 50)..
1881-O (New Orleans Mint) Morgan silver dollar in Almost Uncirculated condition. 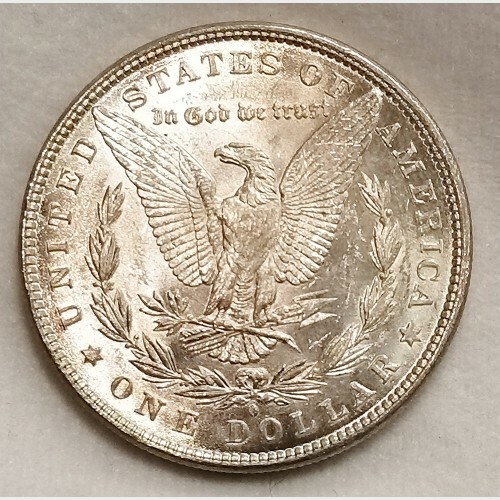 Coin is made of 90%..